It’s that time of year to think up yummy grilling ideas for summer. Like a juicy hamburger. But really, any time of year is a good time to make a list of good meals for summer cooking. 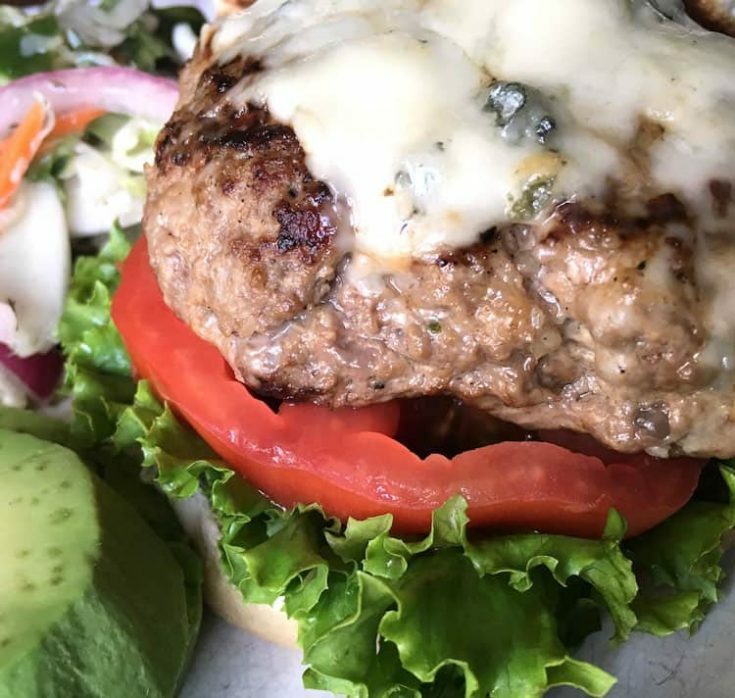 When you love the sunny season as much as we do, you’ll want to be whipping up tasty recipes like our Caprese Pesto Burger Recipe with Prepared Pesto, Blue Cheese Buffalo Burgers, and even our Tropical Black Bean Burger. Homemade meals in the summer are even better when they are paired with one of our favorite summer side dishes. We’re particularly fond of Best Easy Red Potato Salad, Orzo Pasta Salad, and Mediterranean Pasta Salad. Even when you have the absolute perfect burger recipe, like this one, a the ideal meal is rounded out by the sides you decide to serve alongside your main dish. Give us a pasta or potato salad and this juicy burger meal has been made a blue ribbon event! How to grill the perfect hamburger. There are two things you need for super juicy, flavorful grilled burgers: Fat and seasonings. 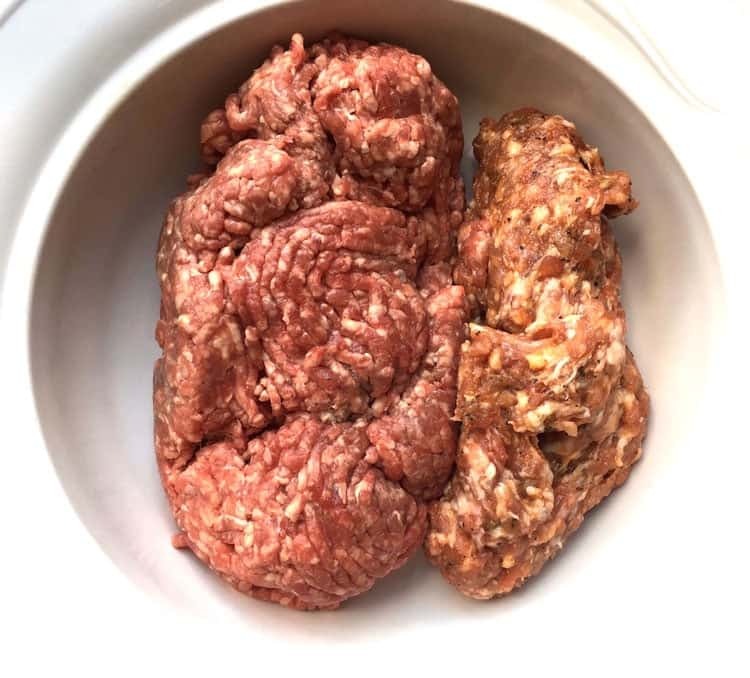 For the best tasting burgers, choose ground meat with a higher fat content. If you’re like many people, you could eat a good burger a couple times a week. I’m not one of those people, but I do like a good burger cooked out on the charcoal grill every couple of weeks or so. I prefer variety when it comes to cooking, so although I like to eat a wide range of foods, I will attest to their being only one way to grill the best burger. In my humble opinion, it needs to be done on a charcoal grill. There is just something about the flavor of a good burger, grilled pork ribs, perfectly grilled chicken halves or even Pork and Pineapple Kabobs…that comes from cooking over that charcoal flame. It can’t be beat. For example, pick regular ground beef instead of ground chuck, ground round or ground sirloin. If the package labeling doesn’t clearly show what the fat content is, make sure you ask the person behind the meat counter. Make the BEST hamburger ever. On its own, ground beef isn’t super flavorful, so it is important to add additional seasoning. 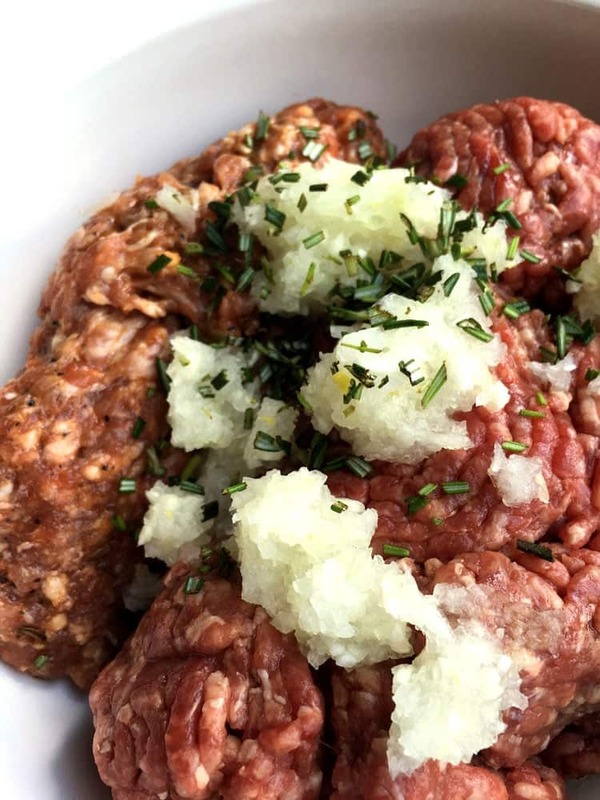 For this recipe, we use a combination of sweet Italian pork sausage, salt, pepper, Worcestershire sauce, onion, garlic and fresh rosemary to pack a lot of flavor into each bite. As an added bonus, the Worcestershire sauce and onion increase the juiciness of the burger without adding a lot of extra fat. This recipe doesn’t specifically call for bacon, but it is a tasty addition to the blue cheese and avocado. 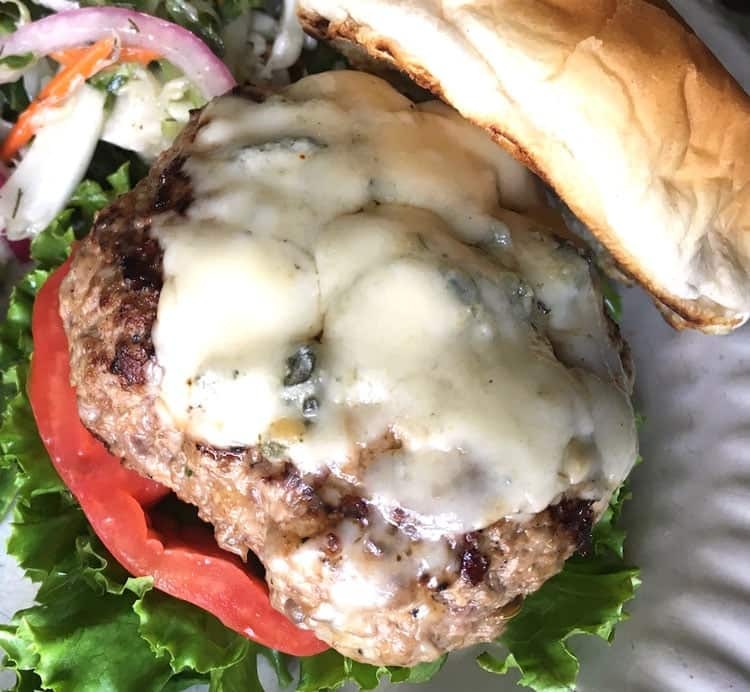 If you’re not a fan of blue cheese, you can switch it out for your favorite cheese and get an equally tasty burger. We love this burger just as well with cheddar or pepper jack cheese. Load up your grill with these burgers this weekend and be prepared to be amazed when you take that first delicious bite. Learn how to make a juicy hamburger recipe from scratch. This is the best burger recipe and it is perfect for grilling out. Clean grill grates and spray with non-stick cooking spray. Add all ingredients to a large glass bowl and combine thoroughly. Make sure both types of meat and all seasonings are completely incorporated throughout the mixture. Divide meat mixture into 8 equal parts and shape each part into ¾ inch thick patties. Place patties on a lined tray and use your thumb to create an indent in the middle to keep them from puffing up while cooking. Cook patties over direct, high heat on your grill for 8 – 10 minutes. Final cooking time will depend on desired level of doneness and how thick you make each patty. If topping with soft, sliced cheese, add slices about one minute before cooking is complete. If using a harder, chunky cheese, such as blue cheese, move burgers to indirect heat 2-3 minutes before they are done. Top with blue cheese and close lid to allow cheese to melt completely. Serve on toasted buns with lettuce, tomato, slices of avocado and bacon, if desired – or top with your favorite condiments, instead.